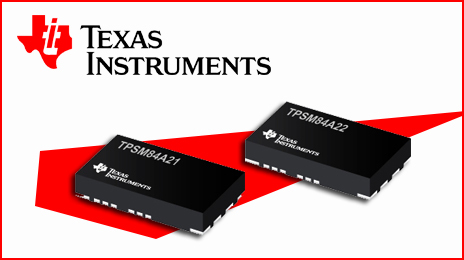 Texas Instruments (TI) on Feb. 13, 2017, introduced a pair of 12-V, 10-A, 4-MHz step-down power modules that provide a power management solution that is 20 percent smaller than any other 10-A power module-based solution available today. The easy-to-use SWIFT TPSM84A21 and TPSM84A22 DC/DC modules integrate power MOSFETs, shielded inductors, input and output capacitors, and passives into a tiny, low profile footprint. In addition, it provides industry-leading performance, with as little as 1 percent overshoot in transient conditions without special magnetics or additional capacitors. By using the step-down power module together with TI’s WEBENCH Power Designer, engineers can get their space-constrained point-of-load (POL) telecom, networking, and test and measurement power-supply designs to market faster. 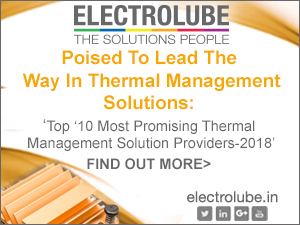 TI will demonstrate the TPSM84A22 module in its booth (No. 701) at the Applied Power Electronics Conference (APEC), March 27-29 in Tampa, Florida. Unlike other 10-A step-down modules available today, the highly integrated TPSM84A21 and TPSM84A22 require just one external voltage-setting resistor for a complete 12-V step-down power solution. For an application such as powering tightly regulated field-programmable gate array (FPGA) rails, a typical 10-A module would require up to 16 external capacitors. 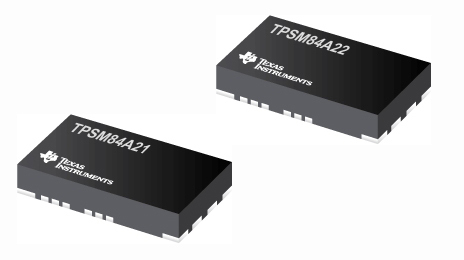 In comparison, the TPSM84A21 provides ultra-low output ripple due to the very high 4-MHz switching frequency and integrated 185 microfarads of output capacitance, which maintains regulation accuracy without any external capacitors. Tiny solution: A 9-mm by 15-mm module and a single external voltage-setting resistor make up a complete solution footprint of 11 mm by 15 mm. 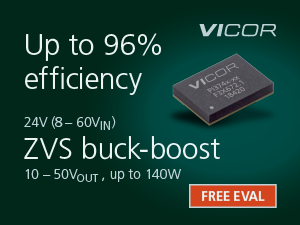 Best transient performance: 4-MHz switching enables ±1 percent overshoot without any external capacitors. 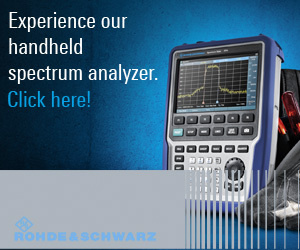 The TPSM84A21 with a voltage output of 0.55 V to 1.35 V and the TPSM84A22 with a voltage output of 1.2 V to 2.0 V are available in volume now through the TI store and authorized distributors. 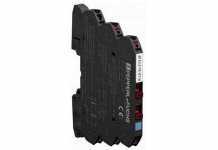 Offered in a 20-pin quad flat micro (QFM) package, the modules are priced at US$8.63 in 1,000-unit quantities. 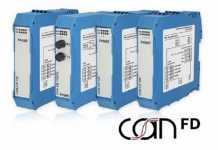 Order the TPS84A21EVM and TPS84A22EVM evaluation modules and download the PSpice transient models. The TPSM84A21 and TPSM84A22 are the newest additions to TI’s broad portfolio of DC/DC power modules that integrate inductors, FETs, compensation, and other passive components into a single package to save board space and simplify prototyping, design, and manufacturing.